Community building, brilliant newsletters and creating a secret brand. Learn how to build a community around the story while optimizing the sales funnel for enthusiastic bike riders around the world. Work with what you and the community loves: Bikes, data, and training. Bridge a successful crowdfunding campaign into a successful b2c business based on excellent content marketing and community building. Think outside the box with smarter methods of hacking the communication for better results. You get the opportunity to start out with a 10000 member strong email list of enthusiastic bike-crazy first movers and turn that into a brand on a mission through clever communication. Successful crowdfunding campaigns taught us how to create and convert traffic on a budget. You take that is a starting point and spiral that into the next level. – how one useful funnel to convert enthusiastic bike lovers into customers testing our we need a dedicated intern for engaging with customers and campaign backers. We are building a test team of bicycle enthusiasts around the world (Team ZWATT) and want to provide them with the best possible experience. SENSITIVUS gauge is a startup – so things can be hectic. We strive to have a good and efficient workflow in everything we do. The team is small and tight. All of us will directly see the results of our own contributions. 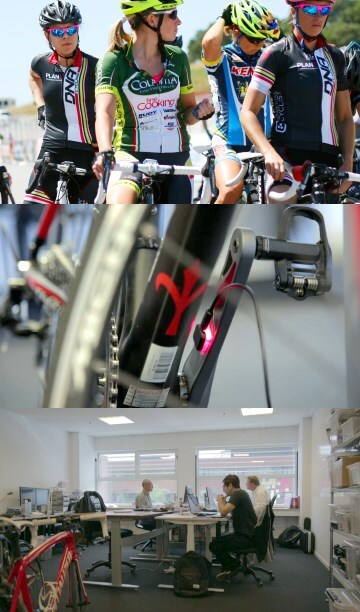 The products developed measure power applied to the pedals of a bike. This has quickly become the number one metric to track for anyone serious about training on a bike. The market is quickly expanding and as a business, we cater to both B2B and B2C in two parallel efforts under the SENSITIVUS and Team ZWATT names respectively. You can be part of this startup from a fairly early stage and shape the entire B2C side – lots of responsibility and lots of fun. You are very confident writing English and great at telling a good story. You can demonstrate this by showing a blog, newsletter or similar content marketing effort you have done. A good understanding of online metrics and optimization (and/or growth hacking) is important as well. You will be working with content marketing, community building and smarter funnels – not the traditional plain ad-spend to feed a webshop funnel. We all like to have a say in what we do. This job will take that to the extreme. You form this job. We know what works, so that is where we start. From that point, you optimize away and learn how far we can take it. And you are 100% in the driving seat. If you want to put some skin in the game, we are open to discussing equity for a reduced salary and other such schemes. The office is in the nice office environment at SYMBION on Østerbro, Copenhagen. A place is filled with small companies. Simply send CV and a cover letter explaining why this is your dream challenge. Don’t forget to include a link to your best online work – newsletter/blog/etc. Check our Kickstarter campaign and Team ZWATT pages for more about us.